I love trying different recipes that substitute matzo for flour. It’s always interesting to see how they turn out. As you can see, this one turned out well and it tastes good too. I’m kind of a sucker for anything with apples and nuts. The matzo in place of the flour is what gives the cake its light texture. 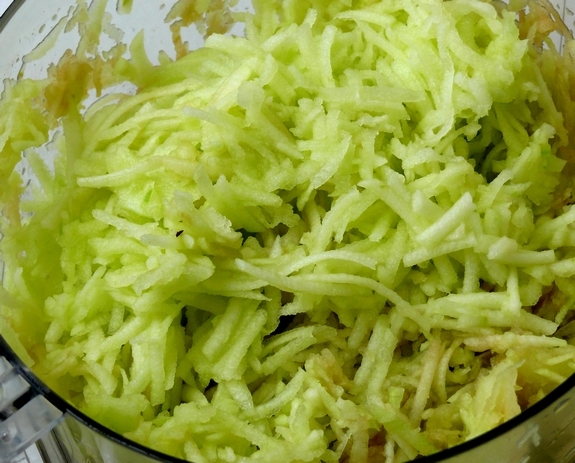 Make sure to squeeze as much water as you can from the shredded apples to keep the cake airy. Preheat oven to 350o F. Lightly coat an 8″ springform pan with nonstick spray. In a medium bowl, using an electric mixer, beat 6 egg yolks, sugar and salt until thick and pale, about 3 minutes. Fold in apples, matzo meal, lemon zest and brandy. In another medium bowl, with clean beaters, beat 3 egg whites until stiff peaks form, about 4 minutes. With a rubber spatula, gently fold egg whites into apple mixture and transfer batter to pan. 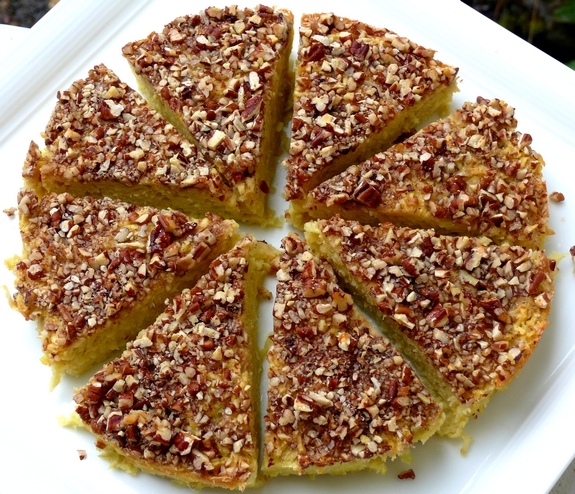 Drizzle with honey and sprinkle with pecans. Bake until golden brown and set in center, 45 to 50 minutes. Let cake cool completely in pan on a wire rack. To serve, run a small knife around edge of pan, remove cake and slice. Store at room temperature for up to one day. Oh how perfect! Will make for passover! this is perfect for my family’s passover / easter combined celebration. looks great! 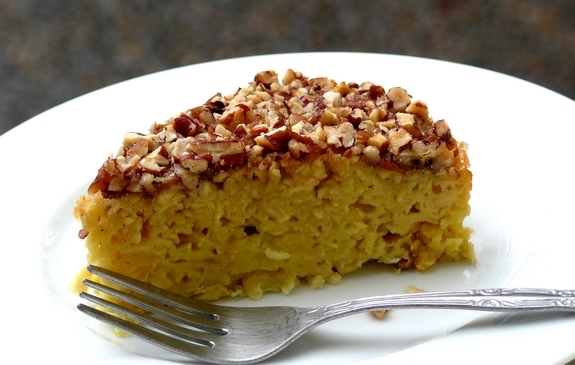 It is so hard to find good Passover desserts but this looks really good!